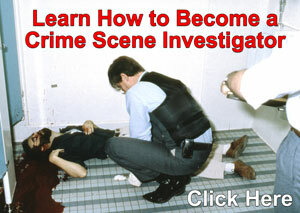 Do you have an article you would like posted on the "Crime Scene Investigator Network"? Development of a Science Base and Open Source Software for Bloodstain Pattern Analysis, Daniel Attinger. 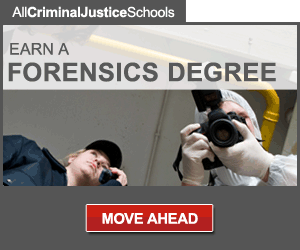 Ph.D.
Crime Scene Contamination Issues, Hayden B. Baldwin, B.S. and Cheryl Puskarich May, Ph.D.
Crime Scene Protection, by D.H. Garrison, Jr. The Forensic Artist and the Statute of Limitations by Charles E. Holt Jr. Trace DNA from Fingernails: Increasing the Success Rate of Widely Collected Forensic Evidence, David Foran, Ph.D., Lisa Hebda M.S., Ashley Doran, M.S. Developing DNA Friendly Fluorogenic Methods for Detecting, Enhancing, and Preserving Bloody and Proteinaceous Impression Evidence, Jodi Lynn Barta, Ph.D., Wilson Muse III, Ph.D., Jessica Zarate, M.S. Chapter 4: Recording living and postmortem friction ridge exemplars, by Brent T. Cutro, Sr. Appearance of Chemical Burns Resulting from the Washing of a Deceased Body with Bleach, by Thomas W. Adair, M.S. ; Michael J. Dobersen, M.D., Ph.D.; and Kelly Lear-Kaul, M.D. Knife and Saw Toolmark Analysis in Bone: A Manual Designed for the Examination of Criminal Mutilation and Dismemberment, by Steven A. Symes, Ph.D., Erin N. Chapman, M.S., Christopher W. Rainwater, M.S., Luis L. Cabo, M.S., and Susan M.T. Myster, Ph.D.
Three Species of Insects Collected from an Adult Human Corpse Above 3300m in Elevation: A Review of a Case from Colorado, by Thomas W. Adair, M.S. and Boris C. Kondratieff, Ph.D. Does the term "education" need to be defined as it relates to Rule 702?, Daniel J. Rinehart, Ed.S.